"Hey Kyle, you ever see faces in things that don't have faces?" Jason Jacobi is a joke thief. One the eve of the biggest show of his career, he gets caught in a lie, and as his world unravels his conscience takes an unlikely form. 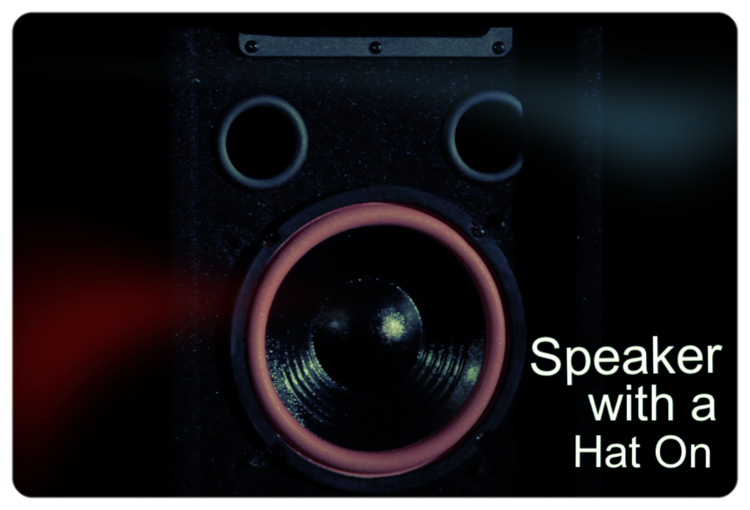 This is the story of a Speaker with a Hat On. Starring Neil Bratchpiece, Matthew Ellis, Tyler Collins, John Gaffney, Angie Moir and Billy Kirkwood. This is the debut film by Declan Dineen. But wait! (he says, like a terrible infomercial for knives that you watch at 2am, nobody is judging you) That's not all! It's FREE too. There is literally nothing stopping you. Come along, bring your friends, delight your senses. Doors at 7.30 for 8pm. If you know someone else who fancies coming feel free to share the link around. I encourage it in fact.